This picture of Lula on leaves was taken by my husband at the end of autumn. I wanted to capture the different colours of the leaves and the different textures immediately. This was almost a 2 year project. And like most project I do I discover that what I though would be a challenge, was quite easy and vica versa. 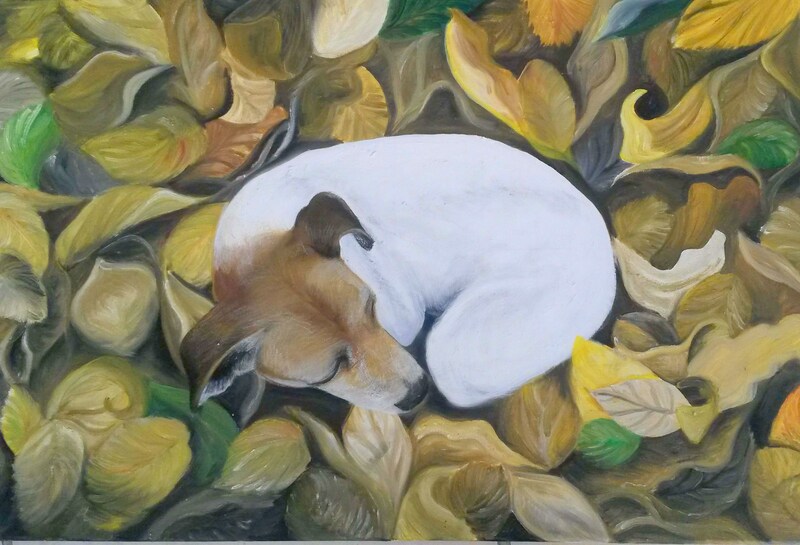 Therefore it took me longer to actually finish Lula than the leaves. Although I personally knew the dog and the owner in this picture I have been surprised at how many people have commented that this could have been their little jack russel in the picture!